The day of the Plantá is a big day, today the project comes together and the Hoguera is seen in motion for the first time by all. The pieces arrive bit by bit throughout the day a few house before the sun sets and the temperature cools works begins to take place in putting this pieces together. 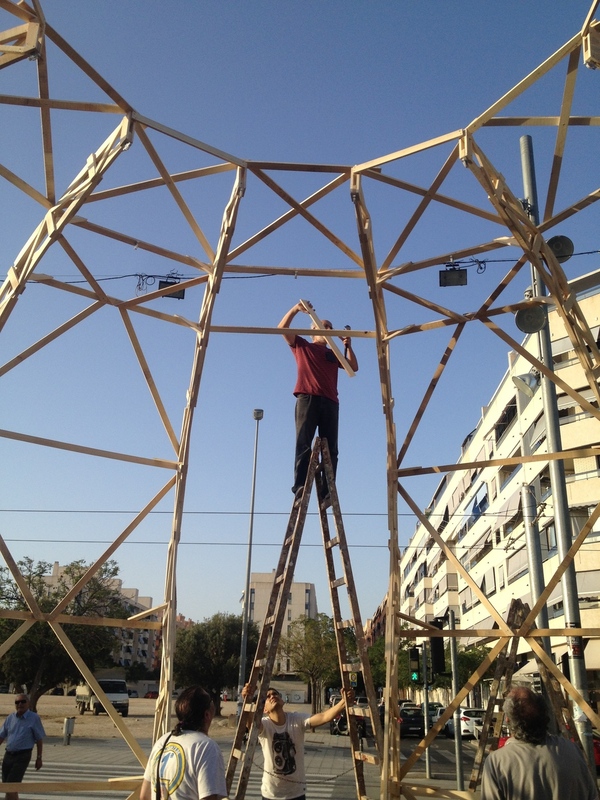 The first to go up are the dome structures around the Hoguera, which acts like frames, and have been pre made in the workshop to ease the stress on site. Once erected they are then connected with planks of wood rotating the Hoguera and ensuring its strength. 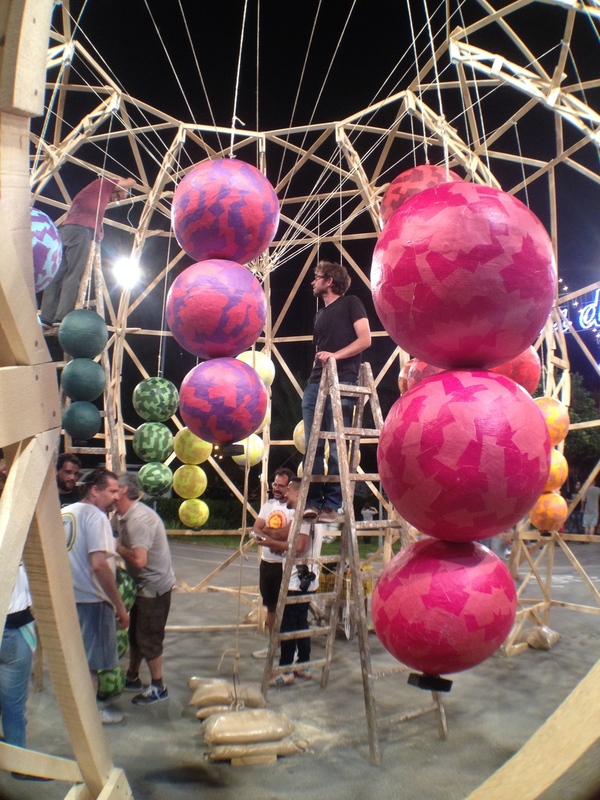 Once the stucture is in place the balls begin to rise to their position, elegantly hanging in the center of the dome. There are two rings from where balls hang all coloufully decorated and sybolic to the event. Tall ladders where needed in order to position the balls and some time was taken to make them all level. Once in place sand was used as a counter weight allowing tension to be created effecitaly allowing the movement to begin! Let the party start with only a few days until the Hoguera is burnt!